When we implement Social Media Marketing actions it’s not the same as going up to our clients when they are other companies as opposed to when they are the consumer: both have different objectives, diverse needs and different purposes. So, why do we insist on doing the same marketing for both of them? This is where the importance of B2B marketing and B2C marketing comes into play, two very different types of marketing from one another and it’s essential for you to know them since depending on who is the final destination of your products or services you should go for one or the other. The success of your campaigns on social networks depends on this. Do you want to know what exactly B2B and B2C marketing is, what differences there are between the two and what social media actions to implement based on your business model? Let’s take a look! You should do B2B or B2C marketing depending on what your target public is. A large majority are unaware of this segmentation, but what does each one of these types of marketing involve? B2B marketing, also known as Business-To-Business, is the type of marketing companies should employ when they are targeting other companies. B2C marketing, also known as Business-To-Consumer, is the ideal type of marketing for those companies who are targeting consumers. And the first thing you must do before starting to implement a digital marketing strategy is to be clear on which of these models pertains to your business, because the marketing actions that you implement on Social Media should vary depending on the type of market you are targeting. Without getting to far off topic, one of the largest benefits of digital marketing and e-commerce is precisely that they allow personalizing of each action so that they are as effective as possible, then: why are you not using this in your favor? B2B marketing and B2C marketing have very different target markets: while B2B sells products and services to other companies, B2C targets the ultimate consumers. The B2B model normally sells on a large scale; meaning the client doesn’t buy a single product or service since it ultimately will go to a client —for example, acquiring the products in our company in order to sell them later to consumers— or because it is used by a number of people in the company—like for example a CRM software —. Instead in B2C the purchaser is the consumer and final client: meaning that they acquire the product or service for their own consumption, that’s why the volume of sales is much easier to calculate and measure. Audiences of B2B companies are looking for efficiency and a resolution to needs, while with the consumers of B2C companies it’s more likely that they’re looking for offers and promotions to satisfy their wants. Whereas B2B clients want to be educated and fitted with knowledge, B2C clients basically want to be entertained, get results and be happy with their purchase. B2B marketing requires highly detailed content as explained by specialists, and additionally they hope to be taken care of by a sales and marketing team. On the other hand, content for B2C businesses can be generated by the consumers them self, are focused on satisfying basic needs and overall are useful, friendly and shareable. In a B2B business, companies want information and desire to build a close relationship with the brands. In a B2C business the consumers who follow the brands are not necessarily looking to build a close relationship with them —however this does not means that we should forget about building loyalty, it’s quite the contrary—. The chain of command in B2B marketing is much longer since the decision must go through different levels before reaching the superiors who are the ones that generally approve the purchases. Therefore, purchasing processes are long, usually complicated and take time to complete. As for B2C it’s the final consumer who makes their own decisions on quick purchases, often guided by emotions and impulses. In this case the purchasing processes tend to be simple and immediate being that the consumers don’t have time to lose. In B2B marketing the number of clients is small but the volume of purchases is large, and the clients are targeted. By selling little units the price generally is high. In B2C marketing the number of clients is large but the volume of purchases is small, and the clients are scarce. By having a lot of repeat purchases the price usually will be much lower. B2B marketing is centered on the logic of the product, its characteristics and the needs that it can satisfy. Therefore, there is usually no personal emotion involved in the purchasing process and decisions are rather rational and it’s basically a market that has a thirst for knowledge and searches for information and solutions. B2C marketing is more centered on desires and longing, and on how the product or service can help resolve them and that’s why the decision is purely emotional. In B2B marketing companies are looking to achieve long term goals like for example recuperating the Return on Investment (ROI) or generating certain benefits in “x” amount of time. Contrarily, in B2C marketing clients not only search to satisfy their desires and solve their problems but they also want rapid and immediate results. And therefore B2B Marketing and B2C marketing have many points in common, it’s vital that you know these 10 differences whether you’re on one side or the other —or even both— you can implement an effective marketing strategy on social networks. And that is just what we’re going to look at below. Now that you were able to see that it’s not the same talking to a company as it is to a consumer, let’s see what type of marketing steps and actions to take in B2B and B2C businesses. While in your B2B digital marketing strategy you have a target market —companies—, in B2C marketing your public is scattered and thus you will have to invest more time to finding them but it’s imperative you do this. So invest time in looking for your clients and once you find them, segment them in order to be able to target them more efficiently through the social networks where they have a larger presence. It’s likely that in B2B businesses you only have to divide them into small, medium and large companies while with B2C companies you have a lot more option for segmenting them into specific groups based on characteristics such as age, gender, social economical level, likes or hobbies among other things. Once you identify and understand your audience and know what they need you’ll be able to be more effective with your social media strategy. Something as simple as the way in which you present yourself to your target public is fundamental and of course also varies in B2B and B2C businesses. For example, if your product it aimed towards athletic people —B2C marketing— your communication should be motivating, inspirational and focused on the passion for sports. But if this same product is aimed towards a company who also sells to athletes —B2B marketing—, you’re not going to convince them with inspirational messages but rather by showing how practical your product is and the characteristics that make it better than the competition. Once you know who you are talking to everything is going to flow in a very natural and effective manner! In B2B marketing it will be very useful to talk about the value and prestige of your company, of the characteristics detailing your product, on your procurement processes and in summary this helps you rationally demonstrate how your target public can save time, money and resources by acquiring your product or service. In B2C, however, your strategy should be completely different and it will be of great help to you to utilize short messages, focusing on concrete benefits, offering discounts and promotions and, in a nutshell, betting on all of this that it wakes up the emotional side of your audience. 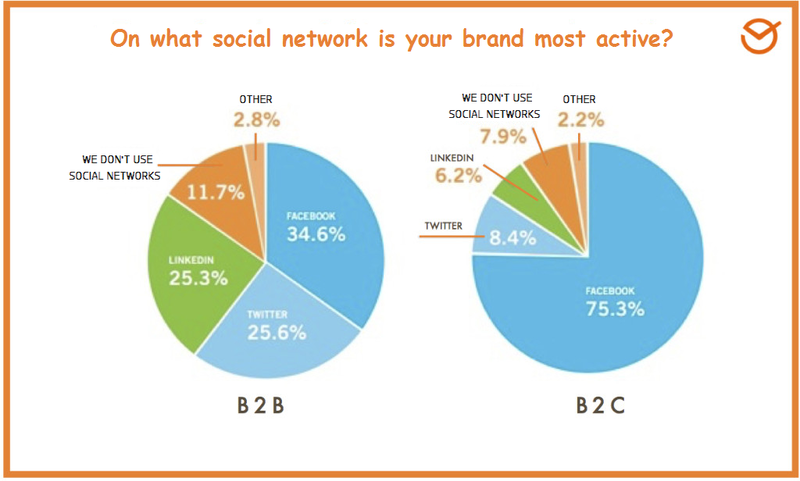 This graphic shows how B2B and B2C companies are currently utilizing social networks. As you can see, the B2B companies primarily use Facebook, Twitter and LinkedIn whereas 7 out of 10 B2C center their strategy on Facebook. Let’s see if it’s accurate and what actions to implement on different networks. What Social Media Marketing actions should a B2B company implement? Currently there are three large networks where B2B businesses should focus their social media actions on: Facebook, Twitter and LinkedIn. But they’re not the only ones. With more than 200 million users, LinkedIn is the quintessential professional network therefore, you can’t leave it out of your social network plans if your company targets other companies. You can use LinkedIn to explain what your company does and how it’s done, additionally you can share presentations and cases of success from your company through the SlideShare application, a LinkedIn owned platform which generates large sales opportunities. Also you can —and should— generate quality content relevant to the company, promote the new content through status updates, highlight your companies’ products and services by using product pages and even create and administrate groups in your industry; which also allows you to send emails and positions you as a benchmark in your sector. B2B companies should also have a corporate page on Facebook through which they build a community, promote events and trade shows in the sector, publish content relating to the industry and all of this can helps them be positioned as a benchmark in the sector. 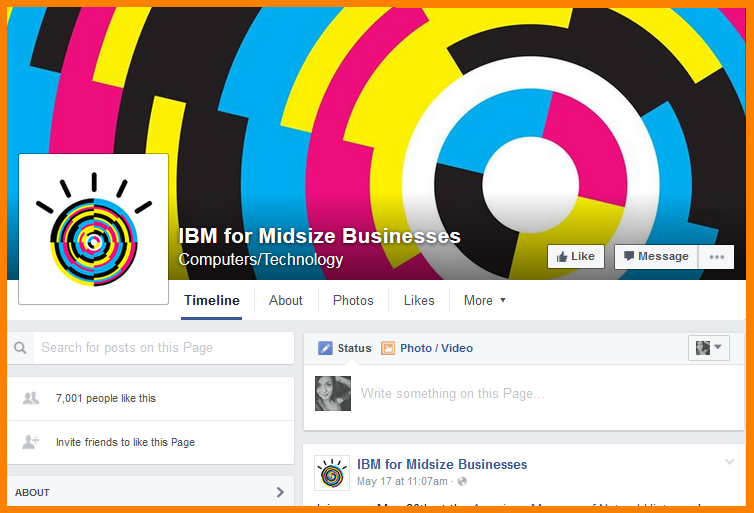 IBM for example make good use of Facebook since it has various pages dedicated to different parts of the organization and the midsize business page has more than 7,000 likes. Additionally, they publish a constant mix of articles, videos and other content that offers IBM solutions or those of the industry. Both B2B and B2C marketing employ Twitter due to the capacity to generate and share information in real time while at the same time it also functions as a traffic source for corporate blogs and websites like for positioning in search engines. In B2B marketing you can implement various action aiming to increase the engagement and reach whether it be publishing content like info graphics and trivia, like requesting that employees follow the company on Twitter and become involved in the strategy by including calls to action that are powerful and even by utilizing hashtags to generate buzz about events. 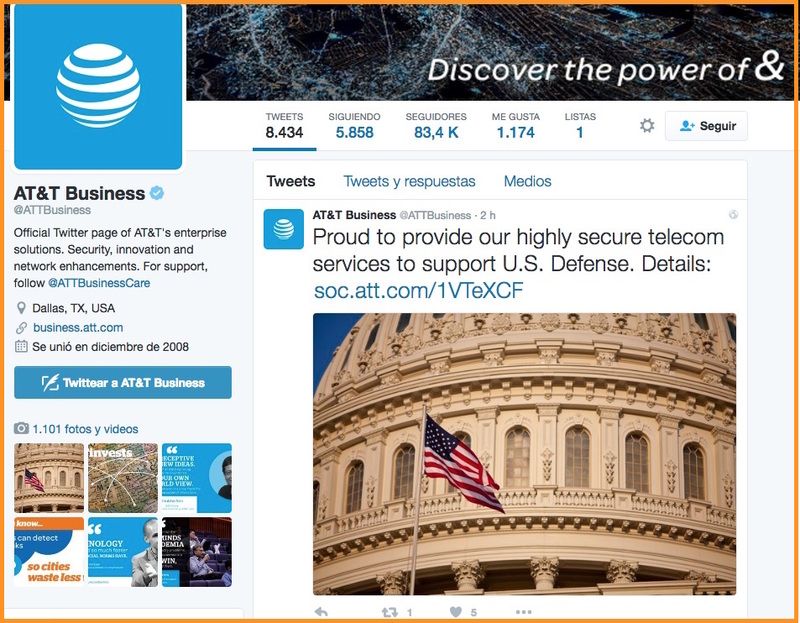 AT&T is one of the B2B companies which thanks to Twitter managed to boost growth of their business. Their page for companies has more than 83,400 followers and publishes daily content that’s relevant as well as being positioned as a benchmark in their sector. It takes nothing more than looking at their last tweet where they are proud to offer their “highly secure” telecommunications services to support the defense of the U.S.
And beyond all of this, don’t limit your opportunities to only one social network: search for where your potential clients are and try to have a presence there, whether it be on Facebook, Google+ or YouTube. 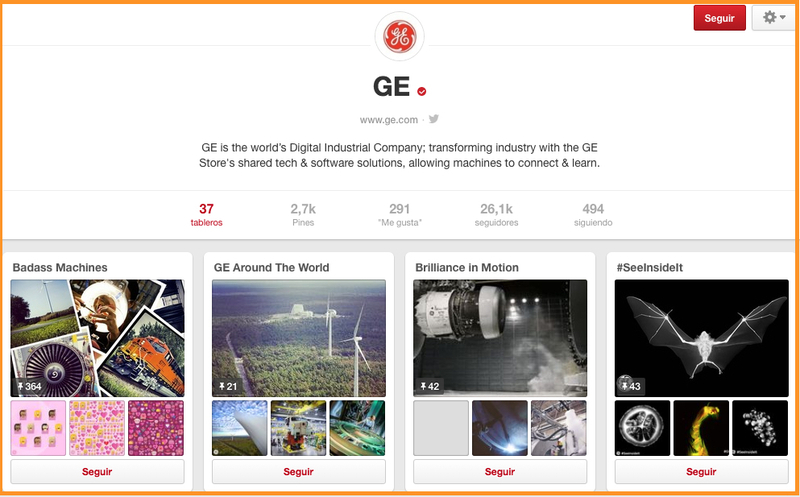 For example, the B2B company General Electric make good use of Pinterest; a network very oriented towards the final consumer to which has found its good use: the company shares pins, info graphics with data and graphics with their audience about their products and services and also directs traffic to their website. 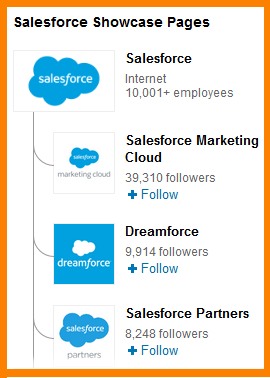 What Social Media Marketing actions should a B2C company implement? The worldwide B2C e-commerce amounted to 1.7 billion dollars in 2015, and for this 2016 a number of 1.9 billion dollars is predicted. And a good part of this success is the important role of marketing on social network since they have become a huge tool for connecting to potential clients, generating engagement and taking care of clients. For B2C companies Facebook is the social network star. It was the first to use digital marketing and today still remains as a cornerstone in any strategy on social mediums; although Twitter is gaining more and more ground as well as networks such as Instagram and Pinterest. On Facebook you can benefit by publishing content from your blog, surveys to find out the needs of your clients, entertaining images and videos, offers, contests and anything that helps you interact with your audience. 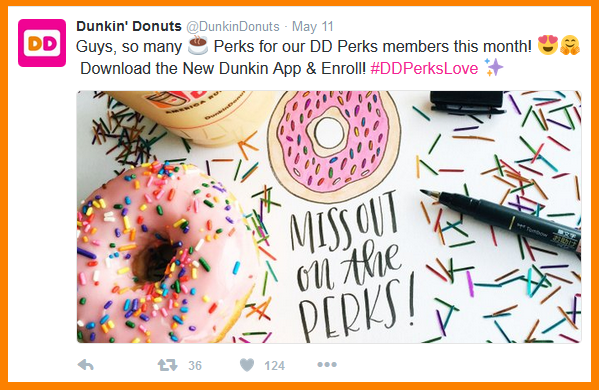 Dunkin’ Coffee is among the 20 companies that do this best on Facebook and by looking at their timeline one will understand why. 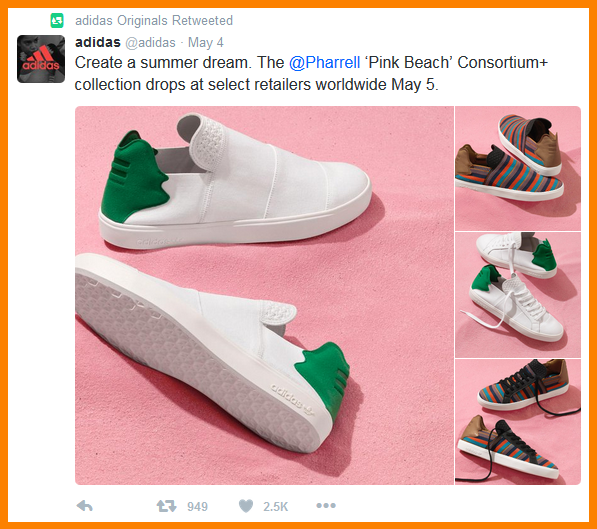 B2C companies should bet on Twitter for creating visual content focused on becoming viral, being creative and relating with influencers. In addition, it’s essential that you engage with your community regularly. You can also use it as a customer service tool thus providing direct and rapid responses to user doubts or complaints and incidentally promoting your brand image —70% of B2C companies don’t do this!—. On the other hand, Twitter is a very good tool for increasing the loyalty and engagement that clients have with your brand, so you’ll be able to benefit by sharing quality content with them, promoting new products and even get leads; for example by creating contests that are linked with a #hashtag —additionally, if the prize is related to your sector, it can be an interesting way of getting qualified leads—. 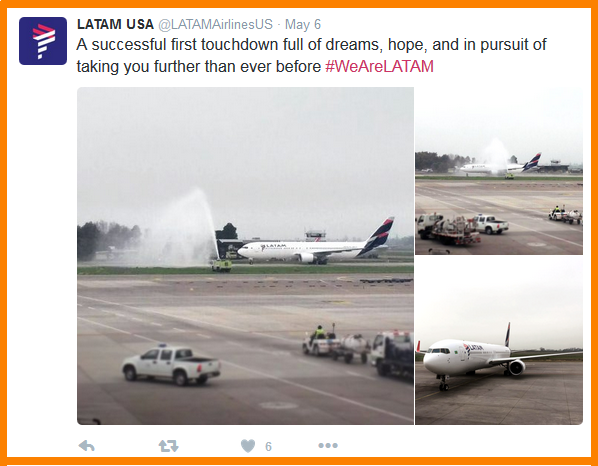 The airline LATAM, for example, has been promoting the hashtag #WeAreLATAM over the past few days in order to promote their new corporate image after the merger of LAN from Chile and TAM from Brazil. These are social networks that are almost 100% visual which allow you to display your product or brand in more interactive way. 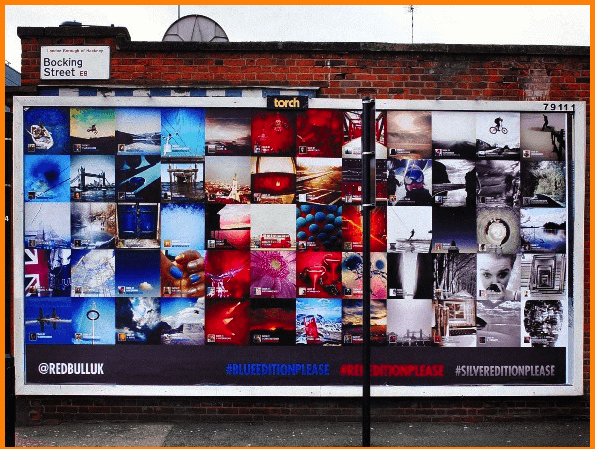 Visual content is a very potent tool for B2C companies, exactly why Instagram and Pinterest can be an excellent place to show a more personal brand image. 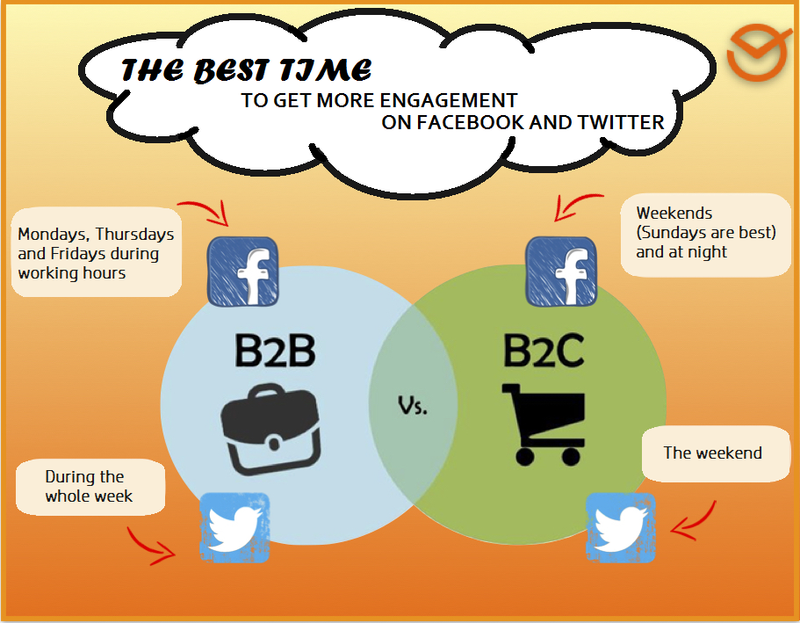 ¿When is it best for B2B and B2C companies to interact on social networks? 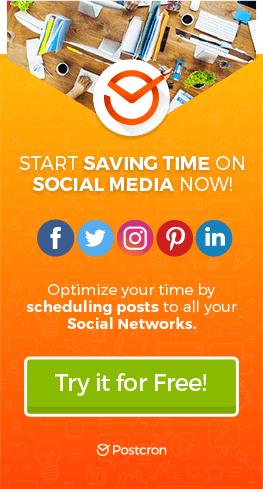 According to an Argylesocial study, the best times for publishing on Facebook and getting more engagement for B2B companies are Mondays, Thursdays and Fridays during working hours (+8% engagement); whereas for B2C businesses is best to publish on weekends —Sunday being the best day— and during the evening (+6%). As for the best days for Twitter, according to the same study, interaction during the week has a larger volume on B2B channels while on the weekend B2C interactions are a bit higher. For information, B2C users interact up to 32% more during the weekend, whereby the efforts on social networks as well as campaigns and other actions will have a better return if we perform them during the weekend. So, in short, it means that in B2B marketing we should implement actions on Social Media when users are connecting to networks for work reasons, whereas in B2C marketing we should implement them when users are enjoying their free time. And although there a some basic recommendations for B2B and B2C marketing the fact is that every company is different, and there’s not a larger guarantee of success than constantly implementing new actions, testing them and measuring the results to see what functions and what doesn’t. And before finishing, we’d like to know: did you find this article useful? 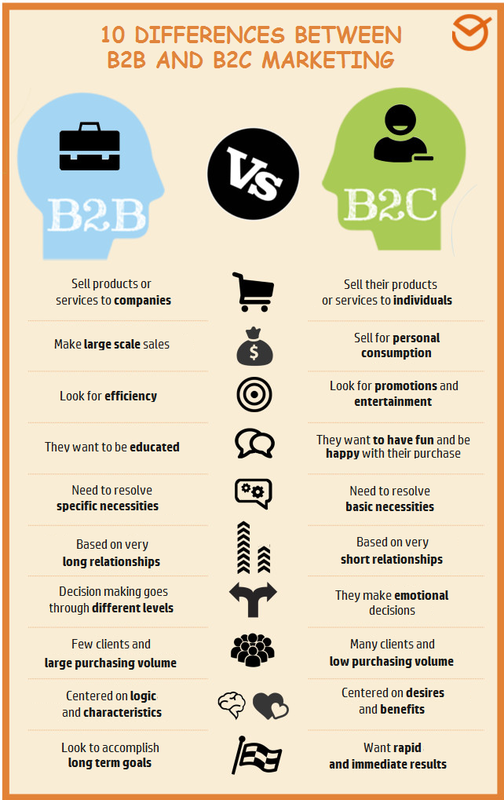 Do you know the differences between B2B and B2C marketing? Are you considering them for your marketing strategy? Tell us your opinion! And if this article was useful, don’t hesitate to share it! —Because, by the way, creating consistent content is essential for B2B companies as well as B2C companies. Hope you don’t forget!—.